On this unforgettable journey, immerse yourself in the beauty of colonial Mexico. From the grand architecture of Mexico City and Teotihuacan and the colonial charm of Puebla to the Silver Age cities of San Miguelde Allende, Guanajuato, Patzcuaro and Morelia, wonders await you at every turn. Along the way, explore local markets, try your hand at traditional Mexican cuisine and dine at the chef 's table in renowned restaurants. Upon arrival in Mexico City, you will be welcomed by your Cox & Kings local representative and transferred to your hotel. A magical harmony of old and modern, Mexico City is a vibrant destination offering a plethora of exciting attractions - museums, archaeological sites, historical buildings and bustling markets. Take the rest of the day to explore on your own, do some shopping or relax and enjoy the spa. This evening, dine at Dulce Patria (Sweet Motherland), one of the best restaurants in the country. Embark on a day of culinary exploration with celebrity chef Patricia Quintana, the first lady of Mexican gastronomy, who will guide you through the market, instruct you in the finer points of Mexican cuisine and help you design and cook a delicious three-course meal. This afternoon, take a privately guided tour of Mexico City's historic center, the oldest part of the city that contains some of the most appreciated cultural treasures of the country. Embark on a full-day exploration of the fascinating cities of Puebla and Cholula. Marvel at the colonial architecture and savor the relaxed hospitality of the UNESCO World Heritage site of Puebla. After lunch at a local restaurant, continue to see the great pyramid of Cholula. Discover the secrets of the UNESCO World Heritage Site of Teotihuacan, once the largest city in the Americas. As you walk along the Avenue of the Dead with your expert guide, visit the Pyramids of the Sun and Moon and learn about the history and culture of this lost civilization. This afternoon, arrive in the lovely artists' enclave of San Miguel Allende. Delve into the mysteries and delights of Mexican cuisine during a cooking class held in a magnificent 18th-century mansion in the heart of the city. 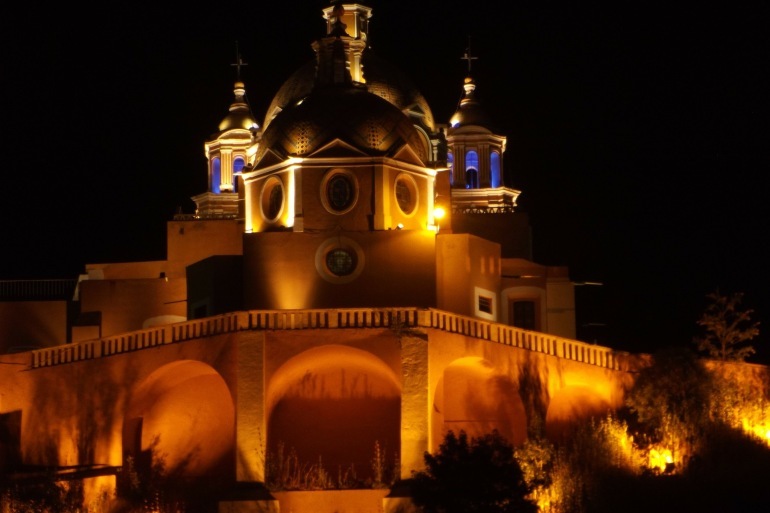 In the afternoon, take a privately guided tour of the city's architectural sites (including the famed Parroquita de San Miguel Arcangel) intermingled with history and myths about how the movement for independence and the influx of international artists influenced this high-desert town. After breakfast, depart for Dolores Hidalgo, birthplace of the Mexican revolution. Then continue to the UNESCO World Heritage city of Guanajuato, once home to some of the richest silver mines in the world. After an afternoon free to explore the winding streets and subterranean passages of the city, dine at the Chef's Table at Bricio Dominguez's renowned Jardin de los Milagros. Enjoy a full-day guided exploration of this gorgeous Silver Age city, including the central plaza, museum of mummies, the grand Juarez Theater, the museum and house of Diego Rivera and more. Head off the beaten path today as you ascend into the highlands en route to the gorgeous colonial gem of Patzcuaro. Upon arrival, check in and take a tour of the city center before enjoying an evening at leisure. Delve into the indigenous culture today on a visit to the island of Janitzio and the village of Santa Clara del Cobre. Shop for crafts at a vibrant local market, take a short hike through the beautiful hills and enjoy a traditional lunch of delectable Tarascan fare. After a leisurely morning, travel onward to the colonial city of Morelia. This afternoon, embark on a guided tour of the center of the city, including the incredible 18th-century aqueduct. Return to your hotel to freshen up for your festive farewell dinner at Los Mirasoles, housed in a 17th century mansion. Spend the morning doing a bit of exploring on your own before heading to the airport for your onward flight.